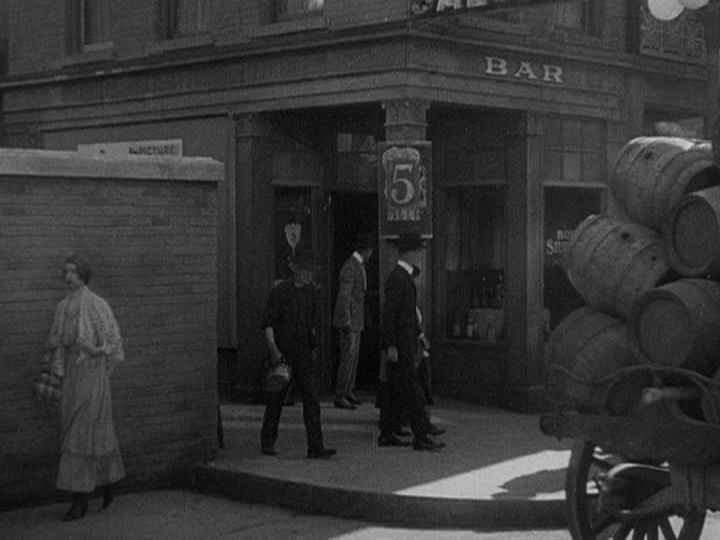 When a young hoodlum (Jimmy Cagney) and his friend (Edward Woods) are betrayed by their fence (Murray Kinnell), they join forces during Prohibition with a bootlegger (Robert Emmett O’Connor) and a wealthy gangster (Leslie Fenton). 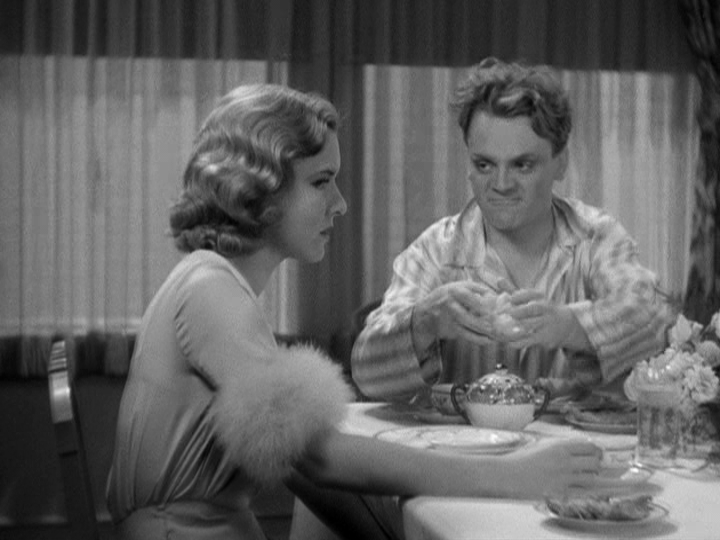 Cagney’s straight-laced brother (Donald Cook) disapproves of Cagney’s career choice, while his sweet mother (Beryl Mercer) remains clueless. 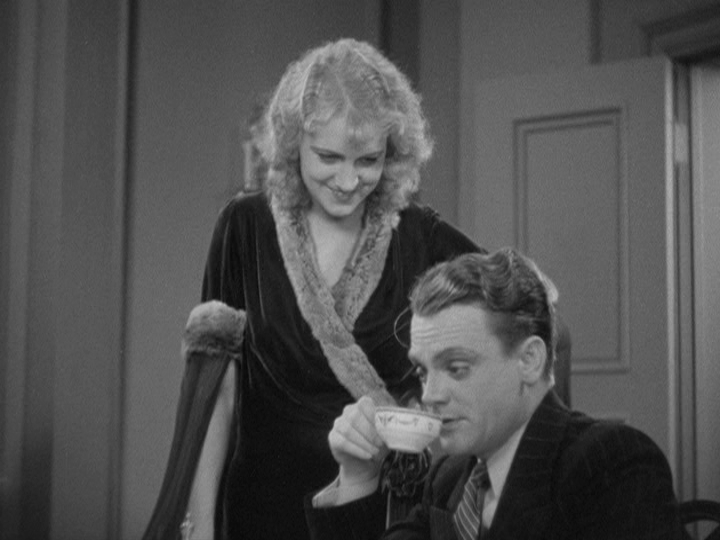 Meanwhile, Cagney mistreats his current girlfriend (Mae Clarke) and woos another (Jean Harlow), while Woods marries his girlfriend (Joan Blondell) and Cagney is unwillingly seduced by O’Connor’s moll (Mia Marvin). 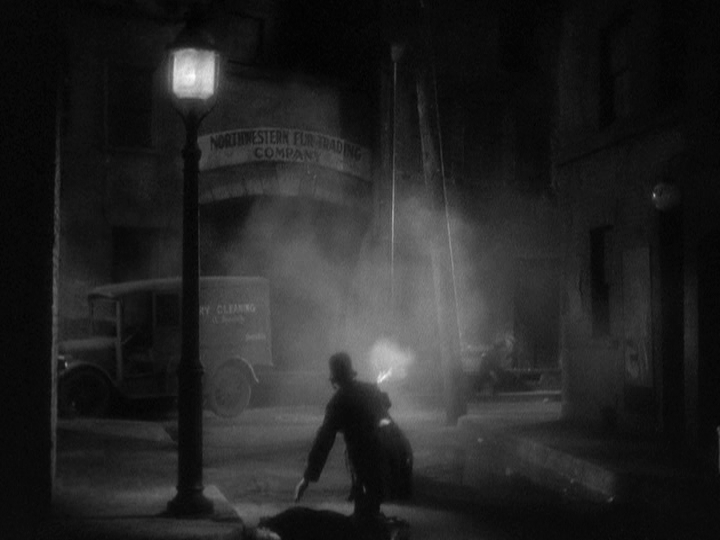 Peary notes that this film has “several classic scenes: the classic grapefruit bit” (in which “Powers pushed a grapefruit in the kisser of his mistress”); “the badly wounded Cagney tap-stepping his way through a large puddle; Cagney’s off-screen execution of a horse; the delivery of Cagney’s body back home”. 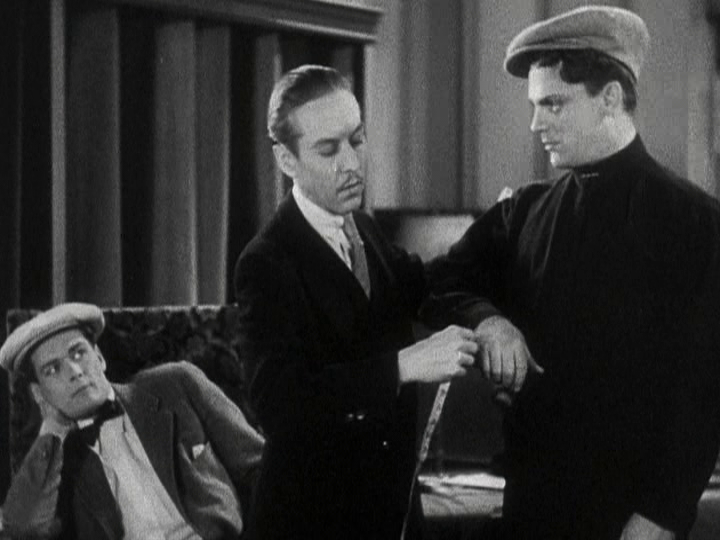 It’s likely that the version of this film Peary watched when writing GFTFF didn’t have several additional, memorably racy scenes that were added back in for its DVD release, including “a markedly effeminate tailor measuring Tom for a suit” and “Tom being seduced when hiding out in a woman’s apartment.” Overall, Public Enemy remains a more engaging and nuanced film than its equally well-known counterpart, Little Caesar (1931), both of which were re-released in 1954 with the same prologue cautioning that the lead characters “are a menace that the public must confront”. With that said, the narrative isn’t as tight as it should be (the female characters in particular aren’t fleshed out), making this more of an historic must-see than an all-out classic. 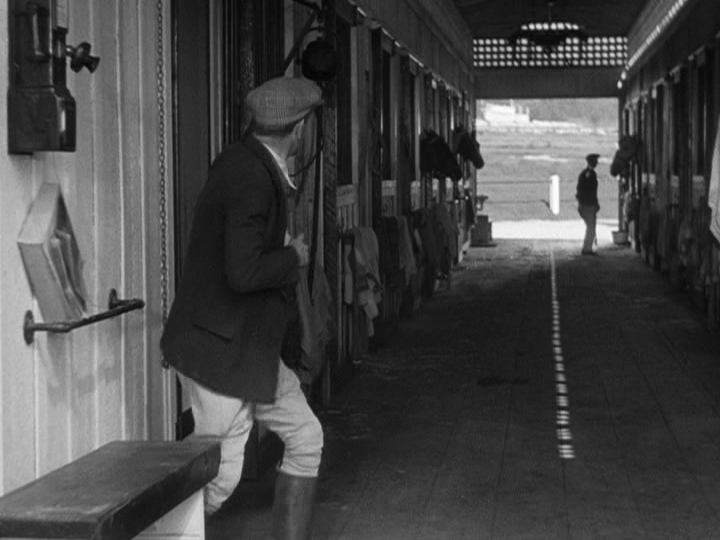 Yes, for its historical relevance and Oscar-nominated performance by Cagney. 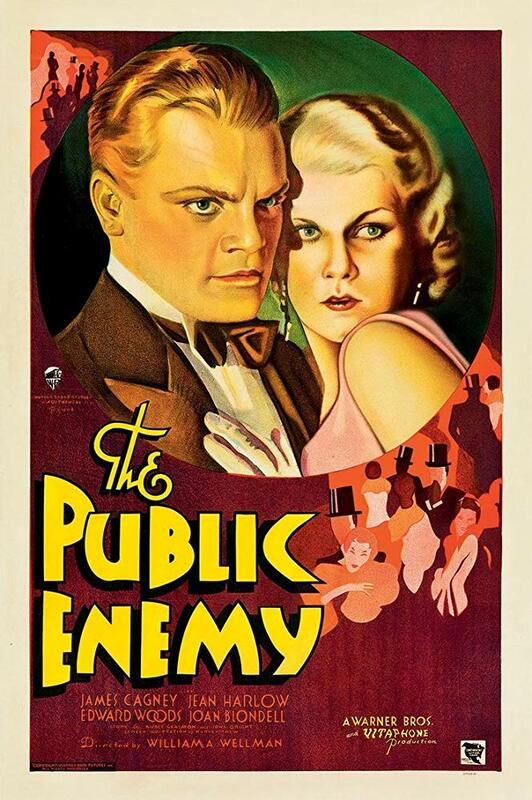 Must-see, for its solid place in cinema history – and for Cagney’s performance. This classic is just about flawless. It was especially thrilling revisiting this after many years – the film retains most of its genuine power. Even given the fact that it’s now on its way to becoming 100 years old (!) – and in spite of the reality of its setting – ‘TPE’ has a strangely modern quality (which is why I don’t see it as ‘dated’). I’m in total agreement that it’s a better film than the same year’s ‘Little Caesar’. 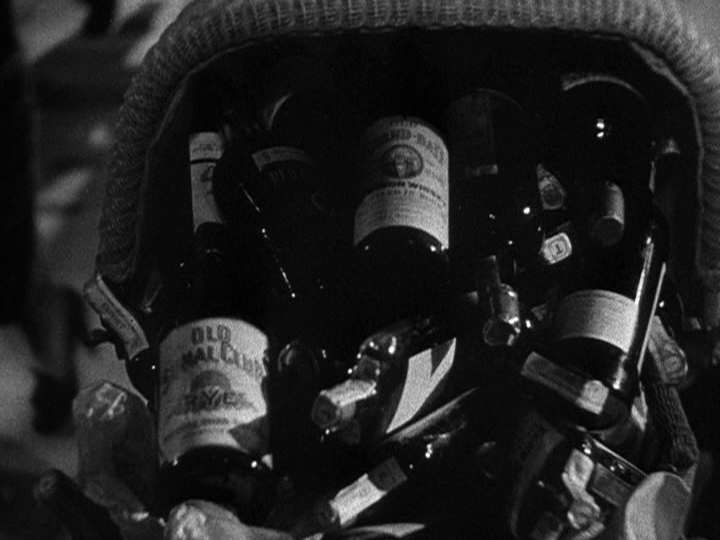 All of its elements (the terrific script, the camerawork, Wellman’s sturdy direction, the elevated acting – in part, thanks to most of the cast having meaty roles to play) mix seamlessly. ~which is not to say, of course, that ‘Little Caesar’ is a bad film but, in ‘TPE’, Cagney has the advantage of being surrounded by a lot of talent before and behind the camera. Robinson had to do double-duty in making sure his performance (more or less) sold the film. No doubt Cagney could have accomplished the same thing if he’d had to (he and Robinson are equally solid actors)… but he didn’t have to. 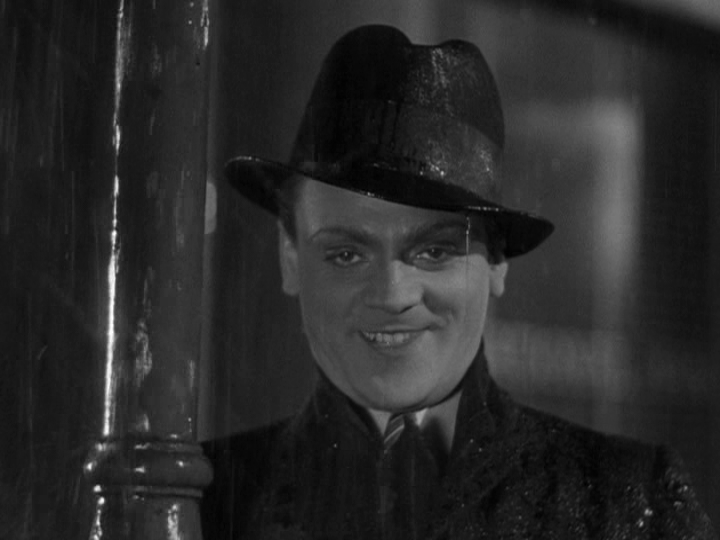 I don’t, however, agree that Cagney’s Tom has charm. He has no charm; he’s a thug. He may ease up when he has to (i.e., around his mom or around a woman when he wants to get laid or around a loyal partner-in-crime) but he’s a committed criminal. Only immature boys or men would envy him. That’s why I don’t agree with Peary’s observation that Tom’s brother Mike is “a bore”. Tom might think so, but that’s due to arrested development. There’s nothing necessarily boring about trying to lead a decent life. I don’t see a problem with the depiction of the female characters. It’s a short film that has little room for women, anyway – it’s male-centric. The two women of significance (the mother and Harlow as Gwen) both do a fine job, are given more time than expected and are believably layered. Even Blondell shines in an authentic way in the short time she’s given.